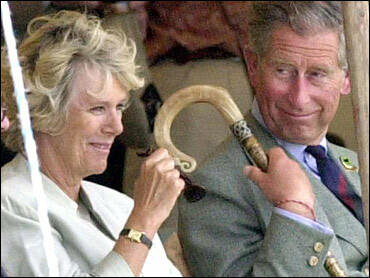 More Britons support Prince Charles marrying longtime lover Camilla Parker Bowles than oppose it, according to a poll released Wednesday. Thirty-two percent of respondents to the Populus poll said they would support Charles if he remarried, while 29 percent were opposed. Thirty-eight percent said they didn't care and 2 percent had no opinion. Marriage is a sensitive issue because Parker Bowles is divorced and her former husband is still alive. Charles, who divorced Princess Diana before her death in 1997, would be the supreme governor of the Church of England if he took the throne, and some Anglicans remain opposed to remarriage of divorcees. The church is officially neutral on the issue, but former Archbishop of Canterbury George Carey recently urged the couple to marry. Disapproval was higher among women than men, with 37 percent of female respondents opposed, compared to 21 percent of men. The young were more supportive of a wedding than their elders. Forty-two percent of 18-to-24 year olds said they approved, while 20 percent disapproved; among those aged 55 to 64, 27 percent approved and 41 percent were opposed. Populus interviewed 1,004 people June 4 and 5 for the poll, published in The Times newspaper. The margin of error is plus or minus three percentage points.